The story of an injured American veteran returning home from the war Iraq is set against the backdrop of a critical indictment of the government's handling of the U.S.-led invasion. 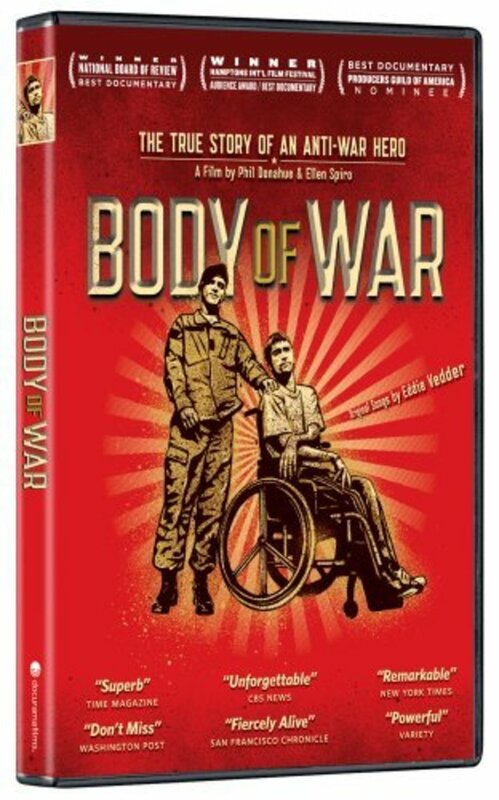 Body of War is a documentary following Tomas Young, an Iraq War veteran paralyzed from a bullet to the spine, on a physical and emotional journey as he adapts to his new body and begins to question the decision to go to war in Iraq. 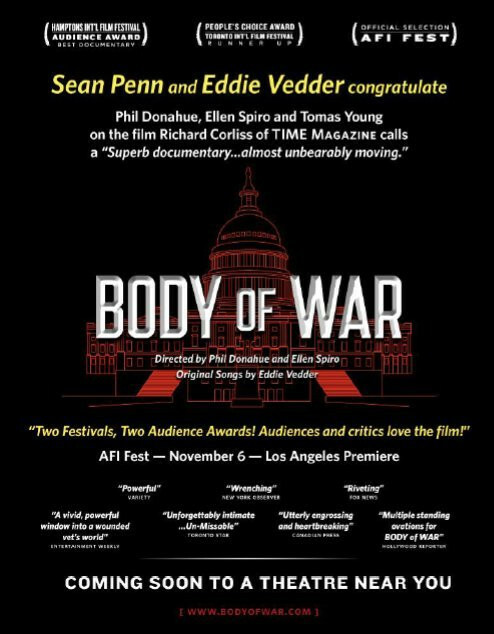 From soldier to anti-war activist, the film takes an unflinching view of the physical and emotional aftermath of war through the eyes of an American hero. The film unfolds on two parallel tracks. On the one hand, we see Tomas evolving into a powerful voice against the war as he struggles to deal with the complexities of a paralyzed body. And on the other hand, we see the historic debate unfolding in the Congress about going to war in Iraq. Regions are unavailable for this movie. 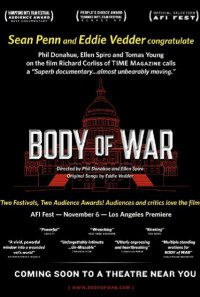 Click the "Watch on Netflix" button to find out if Body of War is playing in your country.